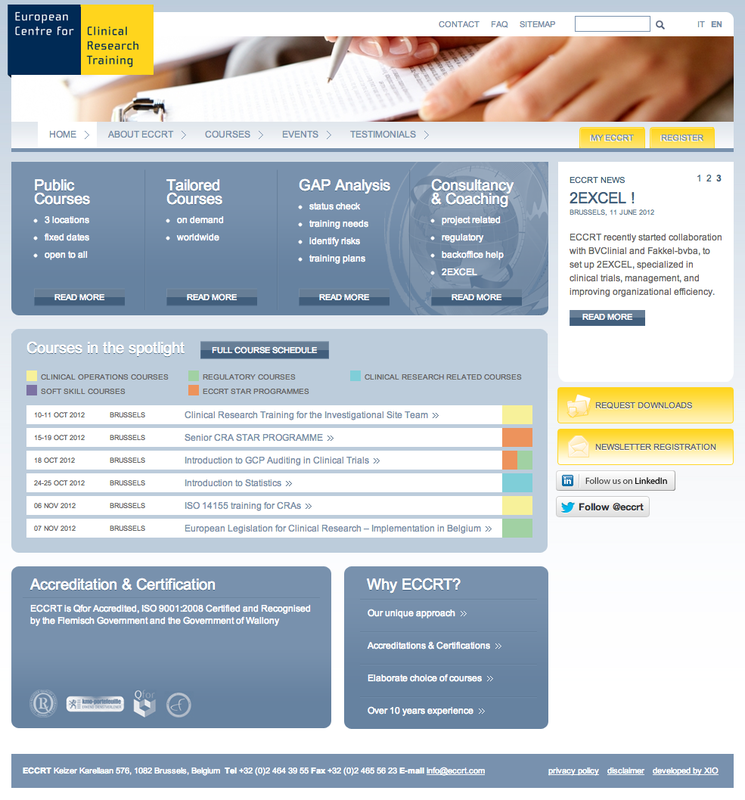 ECCRT sells high-end training courses with product variations on date, language and location (Brussel, Milan and Munich). Taxonomy is used for categorization. Several discount mechanisms are implemented: coupon, volume based discount and user profile (student, academic, etc.). Custom development was made for subscribing multiple attendees to one training order. Payment gateway is Paypal. Developed by XIO (www.xio.be) in Ghent, Belgium.